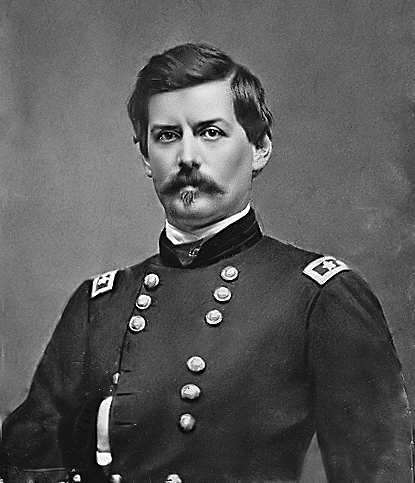 “Gen McClellan and myself are to be photographed”if we an be still long enough. I feel Gen. M should have no problem”” Abraham Lincoln Lincoln in letter to Mary at the time Lincolns picture is taken by Gardner after the Battle of Antietam letter courtesy of Lloyd Ostendorf Oct 1862 From “Lincoln and McClellan.” by Stephen Sears. Lincoln’s Generals. edited by Gabor Boritt New York: Oxford University Press, 1994. I’m not convinced by Freeman’s statement that “it was known” that McClellan had replaced Pope. Not at all. Also, in IE 8 the right side of the quotes are being truncated. Thanks, there is a lot of work that I have to do to get the data from an excel spreadsheet with about 10 columns into a format that works here.. Try copying the text first to Notepad (or equivalent) to get it into plain text. whgen you coipy text from another program like Word or Excel, a lot of junk comes with it. So if you don’t want to start from scratch and retype everything into WordPress’s editor, copy to Notepad first, then to WordPress. I am using a MacBook. Is there an equivalent to notepad that you are aware of? No, I don’t know anything at all about Macs. I have to imagine they have some sort of plain text program. Second sentence whould read “When you copy”.